This video about mixing face powder is mesmerizing. Interesting look at habits that are keeping you from being a great communicator. I am pretty interested in this master class on photography by Annie Leibowitz. At $100, I expected it to be much more expensive. 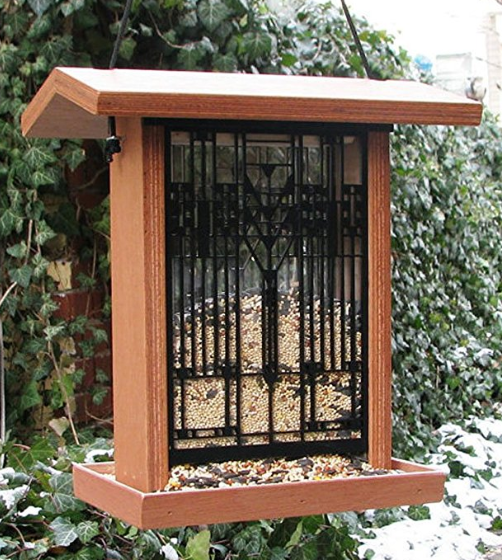 I need a house so I can get a Frank Lloyd Wright bird feeder. Why you need a Roth IRA. I enjoy reading Two Cents pieces. This is certainly one take on Trent Reznor’s 50 Greatest Songs. I don’t necessarily agree with this list, but I would put many of these into my own top 50. At a very different place in the musical spectrum, Dave Matthews performed a short acoustic set at NPR. After 10 years on Twitter, it took a negative tweet regarding Tonya Harding and her appearance on Dancing with the Stars for me to get trolled! All thanks to Yahoo Entertainment for including my tweet in their story. Throwback to the Gary Numan show from last December. I need to see another one soon. I have been a die-hard fan of Formula One for the past 6 or 7 years. I didn’t think I would be into it when my husband asked if I would watch the first race of the season back in what I think was 2011, but I was hooked from the start. I have, like many other Formula One fans, been disappointed in the online offerings of Formula One for ages. However, Formula One was recently taken over by Liberty Media, who have introduced experiences and content that I am thrilled about. There have been some issues as of late, however, and I’m particular miffed about one of them. F1 Fan Voice is a new introduction, a way to get direct information from Formula One fans while offering them the chance to win prizes and experiences. 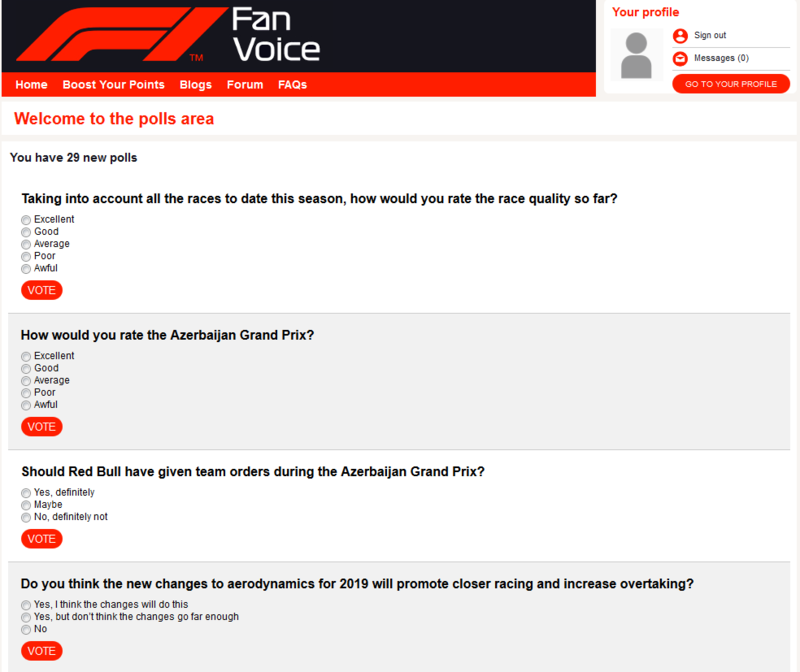 I already have an account on F1.com, but I had to additionally sign up for F1 Fan Voice. I don’t know why it can’t be a single sign-on for all of their platforms, but that’s not the biggest issue with F1 Fan Voice. Right at the top, you can see that I have 29 new polls to take! I soon found out that I have to click “VOTE” for every single question, and the entire page reloads every time. This is asinine. I have received no response, 9 days later, which is also really disappointing! I will be back soon with another post about the F1 TV experience, which has also been a mixed bag. I am willing to be very forgiving of the new team managing Formula One media now, because I am such a big fan of the sport, and I’m really engaged in all content and experiences related to it.